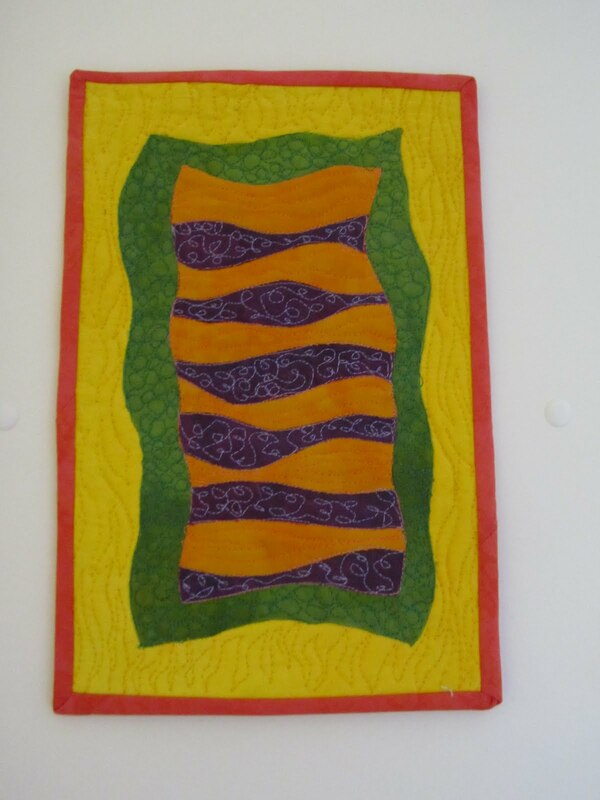 and it's hanging up in my quilting room on the side of my storage unit. I just couldn't bring myself to actually use it as a mug rug. I love it. The only thing I would change would be the quilting in the purple. I was going for a different look but when I got going I just didn't have the space to do it in such a tiny area and the looping sippling just kinda came out. I thought about redoing it, but I decided against that since there were two layers of fusible web in that layer and I was afraid that I wouldn't be able to hide the holes. Awesome. It looks much bigger here than in person. Will you use it for your breakfast? 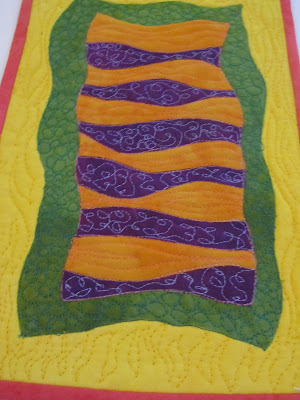 I don't mind the quilting on the purple--it looks funky . I love your mug rug. I like the modern feel to it. I'm going to your flicker group to see if I can see how you did those curvy lines. Great job. Haha, I do that all the time, thinking I will make something for one purpose, then decide not to. The purple quilting is good, makes it look texture-y. Enjoy your wall mug rug!